Tanishia Johnson is a counselor, life coach and motivational speaker. Originally from Bronx, New York, Tanishia has made Rochester her home. 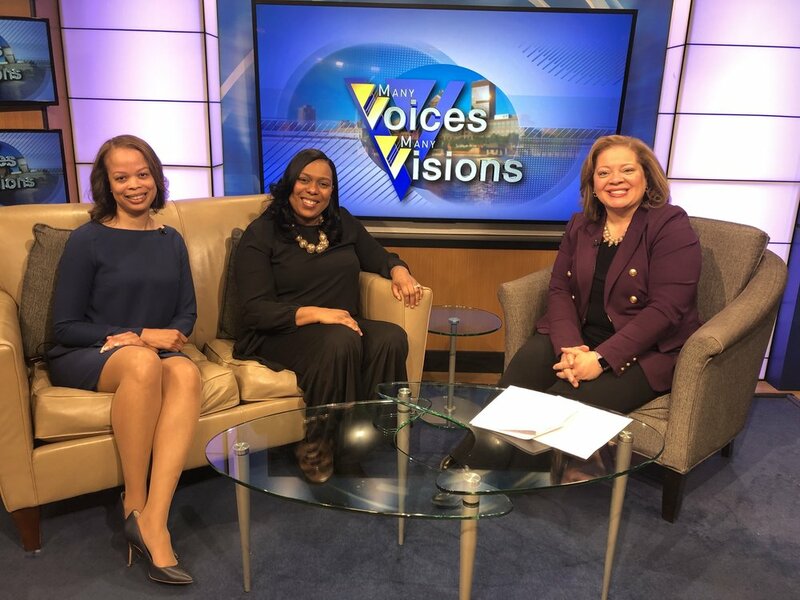 On March 30th, she set out to bring over 200 women to downtown Rochester for the first-ever Authentic Sisterhood Conference in celebration of Women’s History Month. Watch her interview on Good Day Rochester as she sat down with Jennifer Johnson in a pre-event interview to discuss the conference. Do you know an 8th grade student from a diverse economic background entering 9th grade this fall ? The Cheryl Speranza Leadership Institute at Our Lady of Mercy School for Young Women is accepting applications for it’s first cohort of scholars. Full tuition support available for admitted students. Details of the application process can be found here. Watch as the Chair, Linda Dickey and Co-chair, Dr. Sharitta Gross talk about the Institute and it’s offerings on Many Voices, Many Visions with Norma Holland. Our fearless leader was the cover girl for the Feb/March edition of Rochester Woman Online! Read more about her journey to owning Rochester’s premier public relations firm and her work in the Rochester community. The Rochester Schools Modernization Program is a multi-faceted program offering revitalization to schools in the Rochester City School District and a business program to help small business owners sharpen their business acumen. Take a listen to Kim Mitchell and Travis Miller as they sit down with Terry Clifford of 92.5 WBEE to discuss program offerings. Mateakka Washington, owner of Mecca’s VIP Beauty Bus, is the winner of the $5,000 pitch competition. KeyBank Business Boost & Build program, powered by JumpStart, teamed up with the Urban League of Rochester and Ibero-American Action League to host a pitch competition to highlight opportunities for entrepreneurs and encourage local collaboration. Five Rochester area entrepreneurs pitched their business ideas to a panel of expert judges on Thursday, December 13th at the Rochester Museum and Science Center. Mateakka, who is a hair stylist with over 20 years’ experience, captured the judges attention when she pitched her mobile beauty salon on wheels to provide personalized salon services to women who have suffered hair loss due to cancer, alopecia or other genetic disorders. Mateakka will use the money to purchase salon equipment, install plumbing and customized wrap for the outside of the bus. The Dimitri House provides much needed services to one of Rochester’s most vulnerable populations, the homeless. Your support is needed to keep their doors open. 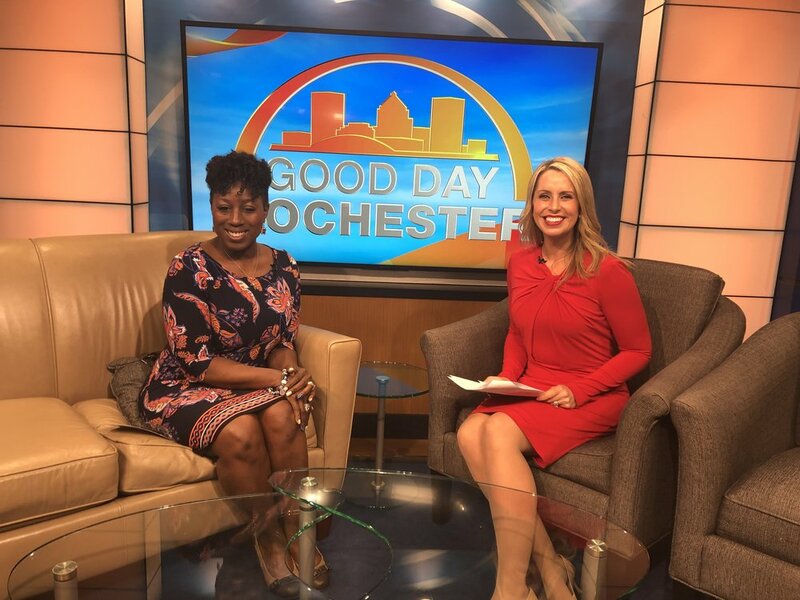 Watch Board Chair, Amy Edwards, on Good Day Rochester as she discusses the Masquerade Ball to benefit the Dimitri House.